Eli Lilly and Company is a global pharmaceutical company headquartered in Indianapolis, Indiana, with offices in 18 countries. Its products are sold in approximately 125 countries. The company was founded in 1876 by, and named after, Col. Eli Lilly, a pharmaceutical chemist and veteran of the American Civil War. Lilly's notable achievements include being the first company to mass-produce the polio vaccine developed by Jonas Salk, and insulin. It was one of the first pharmaceutical companies to produce human insulin using recombinant DNA including Humulin (insulin medication), Humalog (insulin lispro), and the first approved biosimilar insulin product in the US, Basaglar (insulin glargine). Lilly is currently the largest manufacturer of psychiatric medications and produces Prozac (fluoxetine), Dolophine (methadone), Cymbalta (duloxetine), and Zyprexa (olanzapine). The company is ranked 129th on the Fortune 500. It is ranked 221st on the Forbes Global 2000 list of the largest public companies in the world and 252nd on the Forbes list of America's Best Employers. Eli Lilly is a full member of the Pharmaceutical Research and Manufacturers of America and the European Federation of Pharmaceutical Industries and Associations (EFPIA). As of 1997, it was the largest corporation and the largest charitable benefactor in Indiana. The company's founder was Colonel Eli Lilly, a pharmaceutical chemist and Union army veteran of the American Civil War. Lilly served as the company president until his death in 1898. A stylized version of his signature still appears in the company's logo. In 1869, after working for drugstores in Greencastle and Indianapolis, Indiana, Lilly became a partner in a Paris, Illinois, drugstore with James W. Binford. Although the drugstore was profitable, Lilly was more interested in medicinal manufacturing than running a pharmacy. He began formulating plans to create a company of his own. Lilly left the partnership with Binford in 1873 and returned to Indianapolis. Lilly opened a drug manufacturing operation called Johnston and Lilly with John F. Johnston as his partner in 1874, but dissolved the failing partnership on March 27, 1876. Lilly used his share of the assets, which amounted to an estimated $400 in merchandise (several pieces of equipment and a few gallons of unmixed chemicals) and about $1,000 in cash, to open his own pharmaceutical manufacturing business in Indianapolis in May 1876. His new business venture became Eli Lilly and Company. On May 10, 1876, Lilly opened his own laboratory in a rented, two-story brick building (now demolished) at 15 West Pearl Street in Indianapolis, where he began to manufacture medicinal drugs. The sign outside, above the shop's door, read: "Eli Lilly, Chemist." Lilly began his manufacturing venture with $1,400 ($31,163 in 2015 chained dollars) in working capital and three employees: Albert Hall (chief compounder), Caroline Kruger (bottler and product finisher), and Lilly's fourteen-year-old son, Josiah (J. K.), who had quit school to work with his father as an apprentice. One of the first medicines that Lilly began to produce was quinine, a drug used to treat malaria. The result was a "ten fold" increase in sales. At the end of 1876, his first year of business, sales reached $4,470 ($99,499 in 2015 chained dollars). At the end of 1877 sales reached $11,318 ($251,932 in 2015 chained dollars), and by 1879 they had grown to $48,000 ($1,221,086 in 2015 chained dollars). Lilly hired his brother, James, as his first full-time salesman in 1878. James and the subsequent sales team marketed the company's drugs nationally. The company outgrew its first location on Pearl Street, where it remained from 1876 to 1878, and moved to larger quarters at 36 South Meridian Street. In 1881 Lilly purchased a complex of buildings on property at McCarty and Alabama Streets and moved the company to its new headquarters in Indianapolis's south-side industrial area. Lilly later purchased additional facilities for research and production. Lilly committed himself to producing high-quality prescription drugs, in contrast to the common and often ineffective patent medicines. From its facilities in Indianapolis the company manufactured and sold "ethical drugs" for use by the medical profession. Lilly's medicines included labels that disclosed product ingredients. Lilly's first innovation was gelatin-coating for pills and capsules. The company's other early innovations included fruit flavorings and sugarcoated pills, which made the medicines easier to swallow. In 1881, Lilly formally incorporated the business as Eli Lilly and Company, elected a board of directors, and issued stock to family members and close associates. 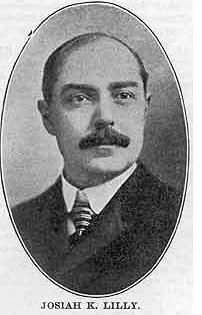 Colonel Lilly's only son, Josiah (J. K.), a pharmaceutical chemist, graduated from the Philadelphia College of Pharmacy in 1882, and joined the family business as a superintendent of its laboratory after college. J. K. became company president in 1898. 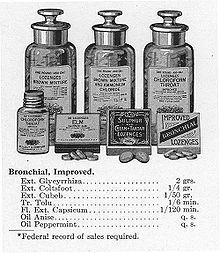 In 1883 the company contracted to mix and sell Succus Alteran, its first widely successful product and one its best sellers. The product was marketed as a "blood purifier" and as a treatment for syphilis, some types of rheumatism, and skin diseases such as eczema and psoriasis. Sales from this product provided funds for Lilly to expand its manufacturing and research facilities. By the late 1880s Colonel Lilly was one of the Indianapolis area's leading businessmen, whose company had more than one-hundred employees and had $200,000 ($5,276,296 in 2015 chained dollars) in annual sales. As the Lilly company grew, other businesses set up operations near the plant on Indianapolis's near south side. The area developed into one of the city's major business and industrial hubs. Lilly's production, manufacturing, research, and administrative operations in Indianapolis eventually occupied a complex of more than two dozen buildings covering a fifteen-block area, as well as production plants along Kentucky Avenue. Around 1890, Colonel Lilly turned over the day-to-day management of the business to his son, J. K., who ran the company for thirty-four years. Although the 1890s were a tumultuous decade economically, the company flourished and came out stronger than ever. In 1894 Lilly purchased a manufacturing plant to be used solely for creating capsules. The company also made several technological advances in the manufacturing process, including automating its capsule production. Over the next few years the company annually created tens of millions of capsules and pills. Until the turn of the century Lilly operated in Indianapolis and the surrounding area as many other pharmaceutical businesses did—manufacturing and selling "sugar-coated pills, fluid extracts, elixirs, and syrups". The company used plants for its raw materials and produced its products by hand. One historian noted, "Although the Indianapolis firm was more careful in making and promoting drugs than the patent medicine men of the era, the company remained ambivalent about scientific research." In addition to Colonel Lilly, his brother, James, and son, Josiah (J. K.), the growing company employed other Lilly family. Colonel Lilly's cousin, Evan Lilly, was hired as a bookkeeper. As young boys, Lilly's grandsons, Eli and Josiah Jr. (Joe), ran errands and performed other odd jobs. Eli and Joe joined the family business after college. Eventually, each grandson served as company president and chairman of the board. Josiah (J. K.), Colonel Lilly's son and Eli and Joe's father, inherited the company after Colonel Lilly died and became its president in 1898. At the time of Colonel Lilly's death the company had a product line of 2,005 items and annual sales of more than $300,000 ($8,547,600 in 2015 chained dollars). Colonel Lilly was a pioneer in the modern pharmaceutical industry, with many of his early innovations later becoming standard practice. His ethical reforms in a trade that was marked by outlandish claims of miracle medicines began a period of rapid advancement in the development of medicinal drugs. J. K. Lilly continued to advocate for federal regulation on medicines. Under J. K.'s leadership, the company introduced scientific management concepts, organized the company's research department, increased its sales force, and began international distribution of its products. In addition J. K. oversaw a large expansion of the company. By 1905 the company reached sales of $1 million ($26,381,481 in 2015 chained dollars). Other advances improved plant efficiency and eliminated production errors. Eli Lilly, grandson of the company founder, introduced a method for blueprinting manufacturing tickets in 1909. This process, which created multiples copies of a drug formula, helped eliminate manufacturing and transcription errors. In the 1920s Eli introduced the new concept of straight-line production, where raw materials entered at one end of the facility and the finished product came out the other end, in the company's manufacturing process. Under Eli's supervision, the design for Building 22, a new 5-floor plant that opened in Indianapolis in 1926, implemented the straight-line concept to improve production efficiency and lower production costs. One historian noted, "It was probably the most sophisticated production system in the American pharmaceutical industry." This more efficient manufacturing process also allowed the company to hire a regular workforce. Instead of recalling workers at peak times and laying them off when production demand fell, Lilly's regular workforce produced less-costly medicines in off-peak times using the same manufacturing facilities. During the 1920s the introduction of new products also brought the company financial success. In 1919 Josiah hired biochemist George Henry Alexander Clowes as director of biochemical research. In 1921 three University of Toronto scientists, J. J. R. Macleod, Frederick G. Banting, and Charles H. Best, were working on the development of insulin for treatment of diabetes. Clowes and Eli Lilly met with the researchers in 1922 to negotiate an agreement with the University of Toronto scientists to mass-produce insulin. The collaboration led to the first successful large-scale production of insulin. In 1923 Lilly began selling Iletin (Insulin, Lilly), their tradename for the first commercially available insulin product in the U.S for the treatment of diabetes. Banting and Macleod won a Nobel Prize in 1923 for their research. Insulin, "the most important drug" in the company's history, did "more than any other" to make Lilly "one of the major pharmaceutical manufacturers in the world." Despite the economic challenges of the Great Depression, Lilly's sales rose to $13 million in 1932. That same year Eli Lilly, the eldest grandson of Col. Lilly, was named as the company's president to succeed his father, who remained as chairman of the board until 1948. Eli joined the family business in 1909. In his early years at the company Eli was especially interested in improving production efficiency and introduced a number of labor-saving devices. He also introduced scientific management principles and implemented cost-savings measures that modernized the company. In addition Eli was involved in expanding the company's research efforts and collaborations with university researchers. In 1934, the firm opened two new facilities on the McCarty Street complex: a replica of Lilly's 1876 laboratory and the new Lilly Research Laboratories, "one of the most fully equipped facilities in the world." In the 1930s the company also continued expansion overseas. In 1934, Eli Lilly and Company Limited, the company's first overseas subsidiary was established in England, with headquarters in London and a manufacturing plant in Basingstoke. At the end of World War II the company continued to grow. In 1945 Lilly began a major expansion effort that would include two manufacturing operations in Indianapolis. The company purchased the massive Curtiss-Wright propeller plant on South Kentucky Avenue, west of the company's McCarty Street operation. When renovation was completed in mid-1947, the Kentucky Avenue location manufactured antibiotics and capsules and housed the company's shipping department. By 1948 Lilly employed nearly 7,000 people. During the mid-twentieth century Lilly continued to expand its production facilities outside of Indianapolis. In 1950 Lilly began Tippecanoe Laboratories in Lafayette, Indiana, and increased antibiotic production with its patent on erythromycin. In 1954 Lilly formed Elanco Products Company for the production of veterinary pharmaceuticals. In 1969, the company opened a new plant in Clinton, Indiana. After a company reorganization and transition to non-family management in 1953, Lilly continued to expand its global presence. In the 1960s Lilly operated thirteen affiliate companies outside the United States. In 1962, with an acquisition from Distillers Company, the company established a major factory in Liverpool, England. In 1968, Lilly built its first research facility, the Lilly Research Centre Limited, outside the United States near London, England in Surrey. In 1971, the company became a component of the S&P 500 Index. In 1977, Lilly ventured into medical instruments with the acquisition of IVAC Corporation, which manufactures vital signs and intravenous fluid infusion monitoring systems. Lilly also purchased Cardiac Pacemakers Incorporated, a manufacturer of heart pacemakers in 1977. In 1980, Lilly acquired Physio-Control Corporation. Other acquisitions included Advance Cardiovasular Systems Incorporated in 1984, Hybritech in 1986, and Devices for Vascular Intervention, Incorporated in 1989. Lilly acquired Pacific Biotech in 1990 and Origin Medsystems and Heart Rhythm Technologies, Incorporated in 1992. In the early 1990s, Lilly combined these medical equipment companies into a Medical Devices and Diagnostics Division that "contributed about 20 percent" of Lilly's annual revenues. In 1989, a joint agri-chemical venture between Elanco Products Company and Dow Chemical created DowElanco. In 1997, Lilly sold its 40% share in the company to Dow Chemical for $1.2 billion and the name was changed to Dow AgroSciences. In 1994, Lilly acquired PCS Systems, a drug delivery business for Health Maintenance Organizations, and later added two similar organizations to its holdings. Lilly purchased PCS, which was the largest U.S. prescription drug benefits manager at the time, for $4 billion. In 1991, Vaughn Bryson was named CEO of Eli Lilly. During his 20-month tenure, the company reported its first quarterly loss as a publicly traded company. In 1993 Randall L. Tobias, a vice-chairman of AT&T Corporation and Lilly board member, was named Lilly's chairman, president, and CEO after "product and competitive pressures" had "steadily eroded Lilly's stock price since early 1992." Tobias was the first president and CEO recruited from outside of the company. Under Tobias's leadership the company "cut costs and narrowed its mission". Lilly sold companies in its Medical Device and Diagnostics Division, expanded international sales, made new acquisitions, and funded additional research and product development. Sidney Taurel, former chief operating officer of Lilly, was named CEO in 1998, replacing Tobias. Taurel was named chairman in January 1999. In 2000 Lilly reported $10.86 billion in net sales. In 1998, Eli Lilly formed a joint venture with Icos Corporation (ICOS), a Bothell, Washington-based biotechnology company, to develop and commercialize Cialis, a product for the treatment of erectile dysfunction. In October 2006, Lilly announced its intention to acquire Icos for $2.1 billion, or $32 per share. After its initial attempt to acquire Icos failed under pressure from large institutional shareholders, Lilly revised its offer to $34 per share. Institutional Shareholder Services (ISS), a proxy advisory firm, advised Icos shareholders to reject the proposal as undervalued, but the buyout was approved by Icos shareholders and Lilly completed its acquisition of the company on January 29, 2007. Lilly closed Icos manufacturing operations, terminated nearly 500 Icos employees, and left 127 employees working at the biologics facility. In December 2007, CMC Biopharmaceuticals A/S (CMC), a Copenhagen, Denmark-based provider of contract biomanufacturing services, bought the Bothell-based biologics facility from Lilly and retained the existing 127 employees. In April 2014, Lilly announced plans to buy Swiss drugmaker Novartis AG's animal health business for $5.4 billion in cash to strengthen and diversify its Elanco unit. Lilly said it planned to fund the deal with about $3.4 billion of cash on hand and $2 billion of loans. As a condition of the acquisition, the Sentinel heartworm treatment would be divested to Virbac in order to avoid a monopoly in a subsector of the heartworm (Dirofilaria immitis) treatment market. In March 2015, the company announced it would join Hanmi Pharmaceutical in developing and commercialising Hanmi's phase I Bruton's tyrosine kinase inhibitor HM71224 in a deal which could yield $690 million. A day later the company announced another deal with Innovent Biologics to co-develop and commercialise at least three of Innovents treatments over the next decade, in a deal which could generate up to $456 million. As part of the deal the company will contribute its c-Met monoclonal antibody whilst Innovent will contribute a monoclonal antibody which targets CD-20. The second compound from Innovent is a preclinical immuno-oncology molecule. The following week the company announced it would restart its collaboration with Pfizer surrounding the Phase III trial of Tanezumab. Pfizer is expected to receive an upfront sum of $200 million from the company. In April 2015, the company engaged CBRE Group to sell its biomanufacturing facility in Vacaville, California. The facility resides on a 52 acres (0.21 km2) campus and is one of the largest biopharmaceutical manufacturing centers in the United States. In January 2017, Elanco Animal Health, a subsidiary of the company completed the acquisition of Boehringer Ingelheim Vetmedica, Inc's (a subsidiary of Boehringer Ingelheim) US feline, canine and rabies vaccines portfolio. In March 2017, the company acquired CoLucid Pharmaceuticals for $960 million, specifically gaining the late clinical-stage migraine therapy candidate, lasmiditan. In May 2018, the company acquired Armo Biosciences for $1.6 billion. Days later the company announced it would acquire Aurora kinase A inhibitor developer - AurKa Pharma - and control over the lead compound, AK-01, for up to $575 million. In January 2019, Eli Lilly announced it would acquire Loxo Oncology for $235 per share - valuing the business at around $8 billion - significantly expanding the business' oncology offerings. The deal will give Eli Lilly Loxo's oral TRK inhibitor, Vitrakvi (larotrectinib), LOXO-292, an oral proto-oncogene receptor tyrosine kinase rearranged during transfection (RET) inhibitor, LOXO-305, an oral Bruton's tyrosine kinase (BTK) inhibitor and LOXO-195, a follow-on TRK inhibitor. Eli Lilly and Company has a long history of collaboration with research scientists. In 1886 Ernest G. Eberhardt, a chemist, joined the company as its first full-time research scientist. Lilly also hired two botanists, Walter H. Evans and John S. Wright, to join its early research efforts. 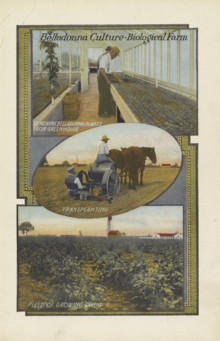 After World War I the company's expanded production facilities and introduction of new management methods set the stage for Lilly's next crucial phase—its "aggressive entry into scientific research and development." The first big step came in 1919 when Josiah Lilly hired biochemist George Henry Alexander Clowes as director of biochemical research. Clowes had extensive medical research expertise and links to the scientific research community, which led to the company's collaborations with researchers in the U.S. and elsewhere. Clowes's first major collaboration with researchers who developed insulin at the University of Toronto significantly impacted the company's future. Lilly's success with insulin production secured the company's position as a leading research-based pharmaceutical manufacturer, allowing it to attract and hire more research scientists and to collaborate with other universities in additional medical research. In 1934 the company built a new research laboratory in Indianapolis. As part of its research and product development process Lilly also conducted clinical studies at Indianapolis City Hospital (Wishard Memorial Hospital). Lilly continues to conduct clinical studies to test medications before their introduction to the market. In 1949 Eli Lilly actually went into partnership with the United States Army Reserve setting up a local Strategic Intelligence Research and Analysis (SIRA)Unit to allow employees to research company data for the Scientific Logistics and Eurasian fields of study (source: declassified Defense Intelligence Agency document MDR -0191-2008 dated 17 Sep 2012). In 1998 the company dedicated new laboratories for clinical research at the Indiana University Medical Center in Indianapolis. In addition to internal research and development activities, Lilly is also involved in publicly funded research projects with other industrial and academic partners. One example in the area of non-clinical safety assessment is the InnoMed PredTox, a collaboration with pharmaceutical companies, research organizations, and the European Commission to improve the safety of drugs. In 2008 this consortium, which included Lilly S.A. (Switzerland), secured a €8 million budget for a 40-month project that was coordinated by the European Federation of Pharmaceutical Industries and Associations (EFPIA), an organization who represents the research-based pharmaceutical industry and biotech companies operating in Europe. In 2008 Lilly's activities included research projects within the framework of the Innovative Medicines Initiative, a public-private research initiative in Europe that is a joint effort of the EFPIA and the European Commission. In 1996, the U.S. Food and Drug Administration approved Gemzar for the treatment of pancreatic cancer. Gemzar is commonly used in the treatment of pancreatic cancer, usually in coordination with 5-FU chemotherapy and radiology. Gemzar also is routinely used in the treatment of non-small cell lung cancer. Zyprexa (Olanzapine) (for schizophrenia and bipolar disorder, as well as off-label uses) Released in 1996, (see criminal prosecution section) it was the company's best selling drug through 2010, when the patent expired. After three generations of Lilly family leadership under company founder, Col. Eli Lilly, his son, Josiah K. Lilly Sr., and two grandsons, Eli Lilly Jr. and Josiah K. Lilly Jr., the company announced a reorganization in 1944 that prepared the way for future expansion and the eventual separation of company management from its ownership. The large, complex corporation was divided into smaller groups headed by vice presidents and in 1953 Eugene N. Beesley was named the first non-family member to become the company's president. Sidney Taurel, former chief operating officer of Lilly, was named CEO in July 1998 to replace Tobias, who retired. Taurel became chairman of the board in January 1999. Taurel retired as CEO on March 31, 2008, but remained as chairman of the board until December 31, 2008. John C. Lechleiter was elected as Lilly's CEO and president, effective April 1, 2008. Lechleiter had served as Lilly's president and chief operating officer since October 2005. In July 2016 Dave Ricks, who also had a long career at Lilly, was appointed CEO. In 2006, Fortune magazine named Eli Lilly and Company one of the top 100 companies in the United States for which to work. Also in 2006, Barron's Magazine named the company among the top 500 best managed companies in the U.S. In 2012, Working Mothers magazine named Lilly one of the "100 Best Companies for Working Mothers" for the eighteenth consecutive year. Working Mother reported that in 2012 forty-eight percent of Lilly's U.S. employees and thirty-four percent of its U.S. managers and executives were women. In 2018, Eli Lilly and Company was recognized as one of the Ethisphere Institute's World's Most Ethical Companies, the second year in a row. The Lilly family as well as Eli Lilly and Company has a long history of community service. Around 1890 Col. Lilly turned over operation of the family business to his son, Josiah, who ran the company for the next several decades. Col. Lilly remained active in civic affairs and assisted a number of local organizations, including the Commercial Club of Indianapolis, which later became the Indianapolis Chamber of Commerce, and the Charity Organization Society, a forerunner to the Family Services Association of Central Indiana, an organization supported by United Way. Josiah's sons, Eli and Joe, were also philanthropists who supported numerous cultural and educational organizations. In 1917, Lilly Field Hospital 32, named in Josiah's honor, was equipped in Indianapolis and moved overseas to Contrexville, France, during World War I, where it remained in operation until 1919. Throughout World War II, Lilly manufactured more than two hundred products for military use, including aviator survival kits and seasickness medications for the D-Day invasion. In addition Lilly dried more than two million pints of blood plasma by the war's end. In 1937, Josiah K. Lilly Sr. and his two sons, Eli and Joe, founded the Lilly Endowment, a private charitable foundation, with gifts of Lilly stock. The Eli Lilly and Company Foundation, which is separate from the Lilly Endowment, operates as a tax-exempt private charitable foundation that the company established in 1968. The Foundation is funded through Lilly's corporate profits. Eli Lilly has been involved in several controversies, including political and medical ethics controversies. Eli Lilly is now the sole manufacturer of BGH having purchased the rights to manufacture the drug from Monsanto. A landmark study found that fluoxetine (Prozac) was more likely to increase overall suicidal behavior. 14.7% of the patients (n = 44) on fluoxetine had suicidal events, compared to 6.3% in the psychotherapy group and 8.4% from the combined treatment group. Eli Lilly, the manufacturer, and the lead researcher did not make these findings obvious. Several internal documents, which were released by the British Medical Journal, indicated a link between use of Prozac and suicidal or violent behavior. The FDA has warned that Prozac and similar antidepressants could cause agitation, panic attacks and aggression. These documents revealed that Eli Lilly knew about this as early as 1984, years before the drug was FDA-approved. In 2009, four sales representatives for Eli Lilly filed separate qui tam lawsuits against the company for illegally marketing olanzapine (branded Zyprexa), an antipsychotic medication, for uses not approved by the Food and Drug Administration. Eli Lilly pleaded guilty to actively promoting Zyprexa for off-label uses, particularly for the treatment of dementia in the elderly. The $1.415 billion penalty included an $800 million civil settlement and a $515 million criminal fine. The US Justice Department said the criminal fine of $515 million was the largest ever in a healthcare case and the largest criminal fine for an individual corporation ever imposed in a US criminal prosecution of any kind. "That was a blemish for us," John C. Lechleiter, CEO of Lilly, told The New York Times. "We don't ever want that to happen again. We put measures in place to assure that not only do we have the right intentions in integrity and compliance, but we have systems in place to support that." In an internal email, Lechleiter had stated "we must seize the opportunity to expand our work with Zyprexa in this same child-adolescent population" for off-label use. In January 2019, lawmakers from the United States House of Representatives sent letters to Eli Lilly and other insulin manufactures asking for explanations for their rapidly raising insulin prices. The annual cost of insulin for people with type 1 diabetes in the U.S. almost doubled from $2,900 to $5,700 over the period from 2012 to 2016. ^ a b c d e f g "Eli Lilly and Company 2017 Form 10-K Annual Report". sec.gov. U.S. Securities and Exchange Commission. January 2018. ^ Swiatek, Jeff (28 December 2015). "10 all-time greatest Eli Lilly drugs". The Indianapolis Star. ^ "Fortune 500: Eli Lilly". Fortune. ^ "Forbes: The World's Biggest Public Companies". Forbes. ^ "Forbes: America's Best Employers". Forbes. ^ "Members". Pharmaceutical Research and Manufacturers of America. Retrieved 14 February 2019. ^ "SDG Group Customers: Eli Lilly". SDG Group. ^ Price, Nelson (1997). Indiana Legends: Famous Hoosiers from Johnny Appleseed to David Letterman. Carmel, Indiana: Guild Press of Indiana. p. 58. ISBN 978-1-57860-006-9. ^ a b c d e "Eli Lilly & Company" (PDF). Indianapolis: Indiana Historical Society. p. 1. Archived from the original (PDF) on 29 July 2016. Retrieved 26 February 2013. ^ a b c d e f g "Eli Lilly & Company" (PDF). Indiana Historical Society. p. 3. Archived from the original (PDF) on 29 July 2016. Retrieved 26 February 2013. ^ "Colonel Eli Lilly (1838–1898)" (PDF). Lilly Archives. January 2008. Retrieved 24 October 2016. ^ a b James H. Madison (1989). Eli Lilly: A Life, 1885–1977. Indianapolis: Indiana Historical Society. p. 6. ISBN 978-0-87195-047-5. ^ a b c Bodenhamer and Barrows, p. 540. ^ a b c Price, Indiana Legends, p. 59. ^ a b c Price, Indiana Legends, p. 57. ^ a b c d e "Eli Lilly & Company" (PDF). p. 2. Archived from the original (PDF) on 29 July 2016. Retrieved 26 February 2013. ^ a b E. J. Kahn (1975). All In A Century: The First 100 Years of Eli Lilly and Company. West Cornwall, CT. p. 23. OCLC 5288809. ^ "Eli Lilly & Company" (PDF). p. 1 and 4. Archived from the original (PDF) on 29 July 2016. Retrieved 26 February 2013. ^ a b Madison, Eli Lilly, p. 27. ^ Bodenhamer and Barrows, eds., p. 913. ^ a b c d e James H. Madison (1989). "Manufacturing Pharmaceuticals: Eli Lilly and Company, 1876–1948" (PDF). Business and Economic History. Business History Conference. 18: 72. Archived from the original (PDF) on 14 May 2013. Retrieved 20 February 2013. ^ Robert M. Taylor Jr.; Errol Wayne Stevens; Mary Ann Ponder; Paul Brockman (1989). Indiana: A New Historical Guide. Indianapolis: Indiana Historical Society. p. 423. ISBN 978-0-87195-048-2. ^ a b Price, Indiana Legends, p. 60. ^ a b Fridrun Podczeck; Brian E. Jones (2004). Pharmaceutical Capsules. Chicago: Pharmaceutical Press. pp. 12–13. ISBN 978-0-85369-568-4. ^ a b c "Eli Lilly & Company" (PDF). pp. 2, 5 and 6. Archived from the original (PDF) on 29 July 2016. Retrieved 26 February 2013. ^ a b Bodenhamer and Barrows, eds., p. 912. ^ Madison, Eli Lilly, pp. 17–18, 21. ^ Madison, Eli Lilly, pp. 51, 112–15. ^ "The Pharmaceutical Industry in Indiana" (PDF). Indianapolis: Indiana Historical Society. p. 3. Archived from the original (PDF) on 8 June 2013. Retrieved 20 February 2013. ^ Taylor; et al. Indiana: A New Historical Guide. p. 481. ^ "Indiana State Historic Architectural and Archaeological Research Database (SHAARD)" (Searchable database). Department of Natural Resources, Division of Historic Preservation and Archaeology. Retrieved 1 April 2016. Note: This includes Eugene F. Rodman (April 1976). "National Register of Historic Places Inventory Nomination Form: Lilly Biological Laboratories" (PDF). Retrieved 1 April 2016. and Accompanying photographs. ^ Roberts, Jacob (2015). "Sickening sweet". Distillations. 1 (4): 12–15. Retrieved 20 March 2018. ^ a b c "Eli Lilly & Company" (PDF). Indianapolis: Indiana Historical Society. p. 5. Archived from the original (PDF) on 29 July 2016. Retrieved 26 February 2013. ^ a b c Madison, James H. (1989). Eli Lilly: A Life, 1885–1977. Indianapolis: Indiana Historical Society. p. 65. ISBN 978-0-87195-047-5. ^ Price, Indiana Legends, p. 61. ^ "Polio and Eli Lilly and Company" (PDF). Indianapolis: Indiana Historical Society. p. 5. Archived from the original (PDF) on 8 June 2013. Retrieved 20 February 2013. ^ "Polio and Eli Lilly and Company" (PDF). Indianapolis: Indiana Historical Society. p. 6. Archived from the original (PDF) on 8 June 2013. Retrieved 20 February 2013. ^ a b c "Eli Lilly & Company" (PDF). Indianapolis: Indiana Historical Society. p. 6. Archived from the original (PDF) on 29 July 2016. Retrieved 26 February 2013. ^ "Eli Lilly & Company" (PDF). p. 7. Archived from the original (PDF) on 29 July 2016. Retrieved 26 February 2013. ^ Times, Special to the New York (14 October 1977). "Eli Lilly Signs Agreement To Acquire Ivac Corp". The New York Times. Retrieved 17 August 2017. ^ "Dow to Buy Lilly's 40% Stake in Dow Elanco". Los Angeles Times. Reuters. 16 May 1997. ^ "Eli Lilly & Company" (PDF). p. 8. Archived from the original (PDF) on 29 July 2016. Retrieved 26 February 2013. ^ Armor, Nancy (31 July 1994). "New Lilly Chief Nurtures Change". Kokomo Tribune. Kokomo, IN. ^ Associated Press (26 June 1993). "Eli Lilly CEO Resigns in Dispute". Kokomo Tribune. Kokomi, IN. ^ "Eli Lilly & Company" (PDF). p. 8 and 9. Archived from the original (PDF) on 29 July 2016. Retrieved 26 February 2013. ^ Associated Press (19 December 2006). "Lilly Increases Offer for Icos; Shareholders' Vote Is Put Off". The New York Times. Retrieved 27 February 2013. ^ Timmerman, Luke (13 January 2007). "Reject Icos Offer, Holders of Shares Advised". The Seattle Times. Retrieved 16 January 2013. ^ a b Timmerman, Luke (7 November 2006). "Proposed Icos Sale Gets More Criticism: Payouts for Execs Called 'Overkill'". The Seattle Times. Retrieved 16 January 2013. ^ James, Andrea (26 January 2007). "Icos Voters Approve Buyout by Eli Lilly". Seattle Post-Intelligencer. Retrieved 16 January 2013. ^ "Eli Lilly Completes Icos Takeover". The Seattle Times. 30 January 2007. Retrieved 16 January 2013. ^ a b Tartakoff, Joseph (5 December 2007). "New Owner Will Invest $50 Million in Icos Facility". Seattle Post-Intelligencer. Retrieved 27 February 2013. ^ Timmerman, Luke (12 December 2006). "All Icos Workers Losing Their Jobs". The Seattle Times. Retrieved 16 January 2013. ^ "Eli Lilly Gets $1.4B Fine for Zyprexa Off-Label Marketing". medheadlines.com. Archived from the original on 28 August 2011. Retrieved 30 August 2011. ^ Murphy, Tom (12 January 2011). "Lilly, Boehringer Collaborate on Diabetes Drugs". Anderson Herald Bulletin. Anderson, IN. p. A7. ^ "Lilly and Boehringer Ingelheim Announce Strategic Alliance to Bring New Diabetes Treatments to Patients Worldwide" (Press release). PRNewswire. 11 January 2011. ^ Sen, Arnab (22 April 2014). Warrier, Gopakumar (ed.). "Eli Lilly to buy Novartis' animal health unit for $5.4 billion". Reuters. Retrieved 21 April 2015. ^ Bartz, Diane (22 December 2014). Benkoe, Jeffrey; Baum, Bernadette (eds.). "Lilly must divest Sentinel products after FTC nod on Novartis deal". Reuters. ^ Staff (19 March 2015). "Eli Lilly to Co-Develop Hanmi BTK Inhibitor for Up-to-$690M". GEN News Highlights. Mary Ann Liebert, Inc. Retrieved 21 April 2015. ^ Staff (20 March 2015). "Lilly Joins Innovent in Up-to-$456M+ Cancer Collaboration". GEN News Highlights. Genetic Engineering & Biotechnology News. Retrieved 21 April 2015. ^ Philippidis, Alex (23 March 2015). "Pfizer, Lilly to Resume Phase III Tanezumab Clinical Program". GEN News Highlights. Mary Ann Liebert, Inc. Retrieved 21 April 2015. ^ a b "Eli Lilly Biomanufacturing Plant For Sale". Advantage Business Media. 21 April 2015. ^ "Elanco Animal Health Completes Acquisition of Boehringer Ingelheim Vetmedica's U.S. Feline, Canine and Rabies Vaccines Portfolio" (Press release). PRNewswire. 3 January 2017. ^ "Lilly to Buy CoLucid for $960M to Acquire Late-Stage Migraine Drug - GEN Genetic Engineering & Biotechnology News - Biotech from Bench to Business - GEN". ^ "Lilly Completes Acquisition of CoLucid Pharmaceuticals" (Press release). PRNewswire. 1 March 2017. ^ Mishra, Manas (10 May 2018). "Lilly to buy Armo Biosciences for $1.6 billion to bolster cancer..." Reuters. Retrieved 8 June 2018. ^ "Lilly Continues Oncology Expansion with Plans to Buy AurKa Pharma for Up to $575M - GEN". GEN. Retrieved 8 June 2018. ^ Editorial, Reuters (14 May 2018). "Lilly to buy cancer drug developer AurKa Pharma". Reuters. Retrieved 8 June 2018. ^ "Eli Lilly Deepens its Oncology Offerings with an $8 Billion Acquisition of Loxo Oncology". ^ "Lilly Announces Agreement to Acquire Loxo Oncology". ^ "Lilly Announces Completion of Hypnion Acquisition". PRNewswire. 3 April 2007. ^ "Lilly to Acquire ImClone Systems in $6.5 Billion Transaction". PRNewswire. 6 October 2008. ^ "Lilly to Acquire SGX Pharmaceuticals". PRNewswire. 8 July 2008. ^ "Lilly to Acquire Avid Radiopharmaceuticals". PRNewswire. 8 November 2010. ^ "Lilly to Acquire Alnara Pharmaceuticals". PRNewswire. 2 July 2010. ^ "Elanco Announces Agreement to Acquire Lohmann Animal Health". PRNewswire. 24 February 2014. ^ "Elanco Animal Health Announces Lilly's Agreement to Acquire ChemGen Corp". PRNewswire. 24 January 2012. ^ "Lilly Makes an Irrevocable Offer to Acquire Janssen Animal Health". PRNewswire. 14 March 2011. ^ "Lilly to Acquire European Rights to Pfizer Animal Health Assets". PRNewswire. 8 March 2010. ^ "Eli Lilly and Company Announces Acquisition of Ivy Animal Health". PRNewswire. 25 May 2007. ^ "Eli Lilly & Company" (PDF). p. 1 and 2. Archived from the original (PDF) on 29 July 2016. Retrieved 26 February 2013. ^ Eberhardt and Evans were Purdue University graduates. See "Eli Lilly & Company" (PDF). p. 2. Archived from the original (PDF) on 29 July 2016. Retrieved 26 February 2013. ^ "Eli Lilly & Company" (PDF). p. 4. Archived from the original (PDF) on 29 July 2016. Retrieved 26 February 2013. .
^ a b "InnoMed PredTox Consortium Members Present Preliminary Study Results". Basel, Switzerland: Genedata. 15 May 2008. Archived from the original on 11 April 2013. ^ "InnoMed PredTox Member Organizations". Archived from the original on 26 September 2008. Retrieved 2008-08-25. ^ "The Innovative Medicines Initiative". Innovative Medicines Initiative. Retrieved 27 February 2013. ^ "IMI 1st Call 2008". Innovative Medicines Initiative. Archived from the original on 21 January 2013. Retrieved 27 February 2013. ^ Wilson, Duff (2 October 2010). "Side Effects May Include Lawsuits". The New York Times. ^ Associated Press (29 March 1977). "Lilly Director Dies in Hawaii". Anderson Herald. Anderson, IN. ^ Associated Press (18 September 1991). "Lilly Move No Big Surprise". Kokomo Tribune. Kokomi, IN. ^ "Congressional Record, March 29, 2006, S2546" (PDF). ^ "Eli Lilly & Company" (PDF). p. 9. Archived from the original (PDF) on 29 July 2016. Retrieved 26 February 2013. ^ Associated Press (19 December 2007). "Lechleiter Named Lilly CEO". Kokomo Tribune. Kokomo, IN. p. A7. ^ Armstrong, Drew; Koons, Cynthia (27 July 2016). "Lilly Turns From One Company Veteran to Another for New CEO". Bloomberg. ^ "Working Mother Report: Meet the 2012 100 Best Companies". Working Mother. New York: Bonnier Working Mother Media Inc. 35 (6): 46. October – November 2012. ^ "Lilly Among the 2018 World's Most Ethical Companies". www.lilly.com. Retrieved 8 June 2018. ^ Bodenhamer and Barrows, eds., p. 399. ^ Bodenhamer and Barrows, eds., pp. 402–03, 911–12, and 560–61. ^ Bodenhamer and Barrows, eds., pp. 910–12. ^ Meek, Heather. "Lilly, Eli". LearningToGive.org and the Center on Philanthropy at Indiana University. Retrieved 20 February 2013. ^ Vitiello, B; Silva, SG; Rohde, P; Kratochvil, CJ; Kennard, BD; Reinecke, MA; Mayes, TL; Posner, K; May, DE; March, JS (2009). "Suicidal events in the Treatment for Adolescents With Depression Study (TADS)". J Clin Psychiatry. 70 (5): 741–7. doi:10.4088/JCP.08m04607. PMC 2702701. PMID 19552869. ^ "When the Cure Is the Cause: The Case of the Green Hairy Tongue". Retrieved 8 June 2018. ^ MarketWatch, CBS. "Eli Lilly in Prozac controversy". Retrieved 8 June 2018. ^ "Eli Lilly Prozac Documents: What do They Reveal? - AHRP". 26 October 2006. Retrieved 8 June 2018. ^ Stastna, Kazi (13 September 2013). "Eli Lilly files $500M NAFTA suit against Canada over drug patents". CBC. Retrieved 1 April 2015. ^ "Eli Lilly and Company Agrees to Pay $1.415 Billion to Resolve Allegations of Off-label Promotion of Zyprexa". 09-civ-038. United States Department of Justice. 15 January 2009. ^ "Pharmaceutical Company Eli Lilly to Pay Record $1.415 Billion for Off-Label Drug Marketing" (PDF). United States Attorney, Eastern District of Pennsylvania. United States Department of Justice. 15 January 2009. Archived from the original (PDF) on 17 October 2012. ^ Wilson, Duff (2 October 2010). "Side Effects May Include Lawsuits". The New York Times. Retrieved 23 September 2011. ^ Berenson, Alex (15 March 2008). "Eli Lilly E-Mail Discussed Unapproved Use of Drug". The New York Times. Retrieved 24 August 2015. ^ Abutaleb, Yasmeen (30 January 2019). "U.S. lawmakers request info from insulin makers on rising prices". Reuters. Retrieved 1 February 2019. "Eli Lilly & Company" (PDF). Indiana Historical Society. Archived from the original (PDF) on 29 July 2016. Retrieved 24 October 2016. Kahn, E. J. (1975). All In A Century: The First 100 Years of Eli Lilly and Company. West Cornwall, CT. OCLC 5288809. Madison, James H. (1989). Eli Lilly: A Life, 1885–1977. Indianapolis: Indiana Historical Society. ISBN 978-0-87195-047-5. Madison, James H. (1989). "Manufacturing Pharmaceuticals: Eli Lilly and Company, 1876–1948" (PDF). Business and Economic History. Business History Conference. 18: 72. Archived from the original (PDF) on 14 May 2013. Retrieved 20 February 2013. Podczeck, Fridrun; Brian E. Jones (2004). Pharmaceutical Capsules. Chicago: Pharmaceutical Press. ISBN 978-0-85369-568-4. Price, Nelson (1997). Indiana Legends: Famous Hoosiers From Johnny Appleseed to David Letterman. Indianapolis: Guild Press of Indiana. ISBN 978-1-57860-006-9. Taylor Jr., Robert M.; Errol Wayne Stevens; Mary Ann Ponder; Paul Brockman (1989). Indiana: A New Historical Guide. Indianapolis: Indiana Historical Society. p. 481. ISBN 978-0-87195-048-2. Tobias, Randall; Tobias, Todd (2003). Put the Moose on the Table: Lessons in Leadership from a CEO's Journey through Business and Life. Indiana University Press. ISBN 978-0-253-11011-4. Weintraut, Linda; Jane R. Nolan. "The Secret Life of Building 314". Traces of Indiana and Midwestern History. Indianapolis: Indiana Historical Society. 8 (3): 16–27. Wikimedia Commons has media related to Eli Lilly and Company.